There are two legal areas which comprise incidents of homicide. If a homicide, or killing of one individual due to the actions of another, is found to be criminal, then the killer may be charged with manslaughter or with murder. The primary difference between manslaughter and murder is one of intent. A person charged with manslaughter is generally less liable than a person charged with murder. A homicide charge is filed against a killer when there is proof of malice and premeditation. Murder is the classification of homicides that include the intentional and malicious commission of a killing. When a killer is charged with manslaughter it can be for several different meanings, all of which are the result of less severe circumstances being met than in murder cases. In order for an individual to be charged with manslaughter or homicide to be convicted, the prosecution must prove their case beyond a reasonable doubt in either circumstance. Whether the killer is charged with manslaughter or an incident of criminal homicide, the defense may attempt to stage a defense showing that the actions of the defendant can be explained by a different legal defense based on a plea of insanity, or attempts to justify the crime as an example of self-defense. Murder is the more serious of the two charges of homicide. Murder charges are premeditated or especially heinous crimes. It involves any homicide in which the killer intended to kill, meant to seriously harm but not kill the victim, acted without any regard for the outcome of their action, or killed a person while committing another serious or violent felony. A person charged with manslaughter will have committed a homicide that does not rise to the level of seriousness required to sustain a murder charge. A killer may be charged with manslaughter if the killing did not contain the sufficient element of premeditation or if the killing could be construed as a crime of passion. 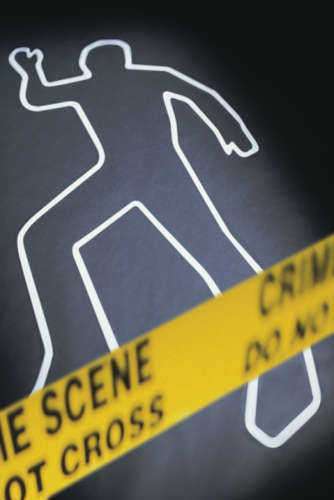 Murder and manslaughter cover the various situations that constitute criminal homicide. Non-criminal homicides include circumstances where the killer can be proven to have acted in self-defense. Other circumstances of non-criminal homicide include killings in defense of property, killings in defense of others, killings which happen under duress, killing done in prevention of a crime, killings done by a person in a state of less than full consciousness, or a killing that happens as the result of mistaken facts. A non-criminal homicide based on mistaken fact means that the killing would have otherwise been criminal if the facts were as the killer believed them to be.